The majority of our Japan holiday was spent in the country’s capital city, Tokyo, and we definitely made the most of our time there: from exploring traditional shrines and temples, to marvelling at the ultra modern skyscrapers and petting cats and owls at animal cafés! 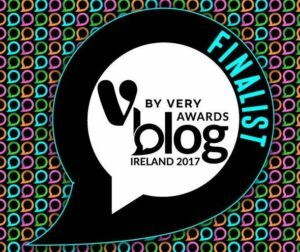 We did such a lot during our time there that I would be doing a disservice to the amazing city by trying to squeeze it all in to one post, but how to split it? In the end, I decided a natural separation would be between the old and the new. 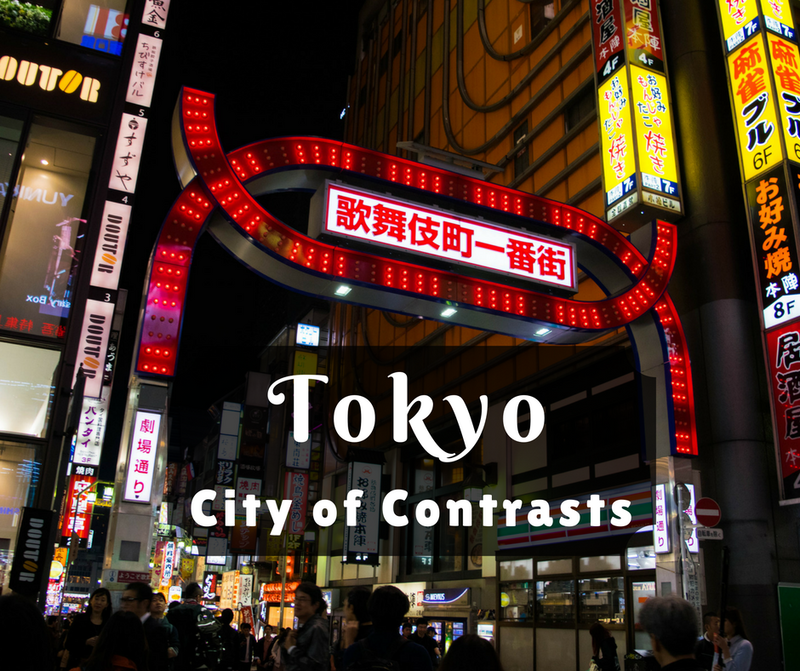 Japan is a country of contrasts and while the classic and modern are starkly opposed to each other, they somehow sit side-by-side perfectly and there is so much to love about both. We arrived in Tokyo early on Sunday morning after a 12 hour flight during which we got about an hour of sleep at the most. After queueing at the JR EAST Travel Service Center for far too long, we eventually had our rail passes in hand and made our way to drop our luggage at the hotel. We couldn’t check in until the late afternoon so tried to take advantage of the time while feeling somewhat like zombies. Luckily we were staying in Shinjuku for the first few days, so there was plenty of sights and sounds to take in as we wandered around, bleary-eyed. It was Sunday morning, so the area was relatively quiet. 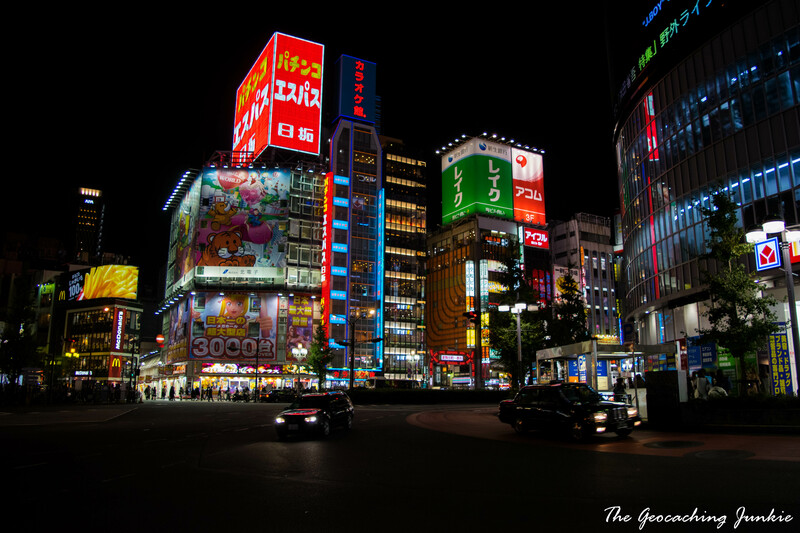 Shinjuku comes to life at night, when every window is lit up, billboards that cover skyscrapers dance with advertisements and people stream out of Shinjuku station – the busiest train station in the world. 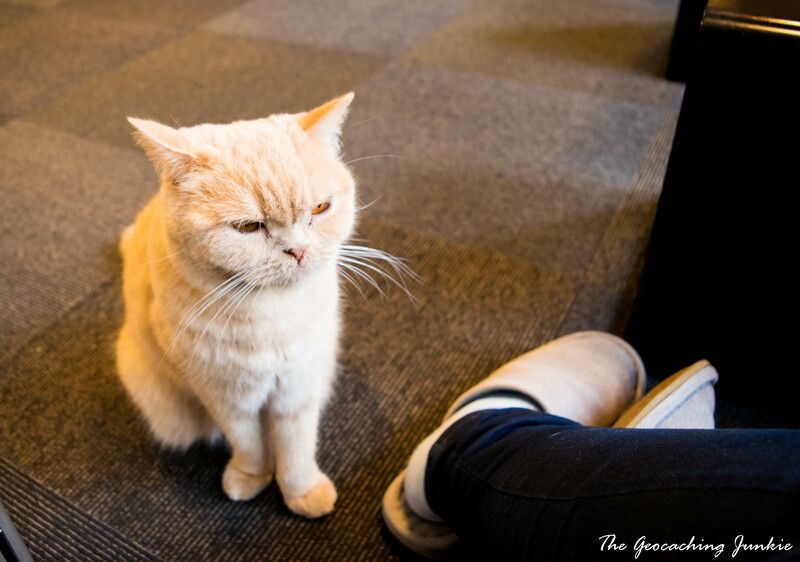 What better way to spend a couple of slow-paced hours than in a cat café! The concept actually originated in Taiwan in 1998, but it has really exploded in popularity in Japan. 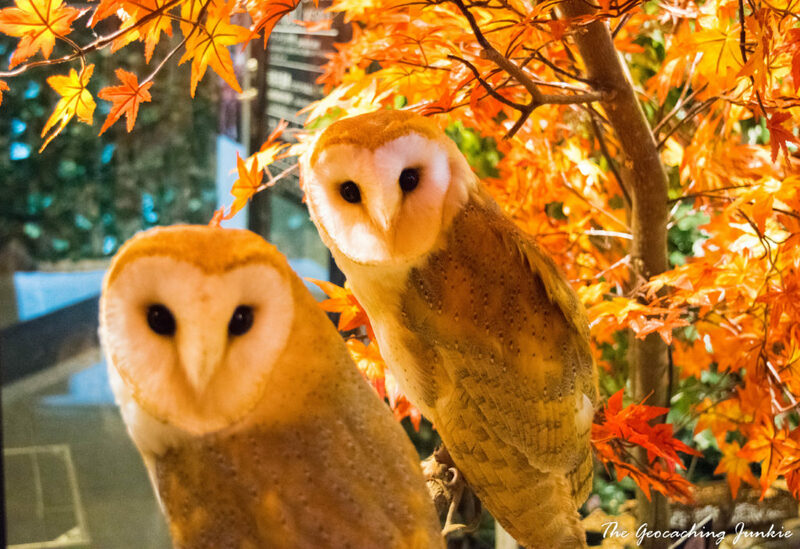 Many Japanese people live in apartments that do not allow pets so cat cafés, and later on bunny, owl and even hedgehog cafés, give them the opportunity to spend some time with animals. Calico Cat Café is well tucked away but we eventually managed to find it after downloading directions using McDonald’s free wifi (thanks Ronald!). There is a ¥1,200 cover charge at weekends (¥1,000 on weekdays) for 1 hour in the café and it’s ¥150 for each additional 10 minutes. You can buy drinks and food, but we didn’t and they don’t expect you to. What we did spend money on was treats for the kitties: ¥300 for a little lunch box of shredded chicken. We were informed that we could pet the cats but not pick them up, and we had to leave our shoes and wear special slippers they gave us. We were glad we bought the treats because the cats didn’t want anything to do with anyone who didn’t have any! 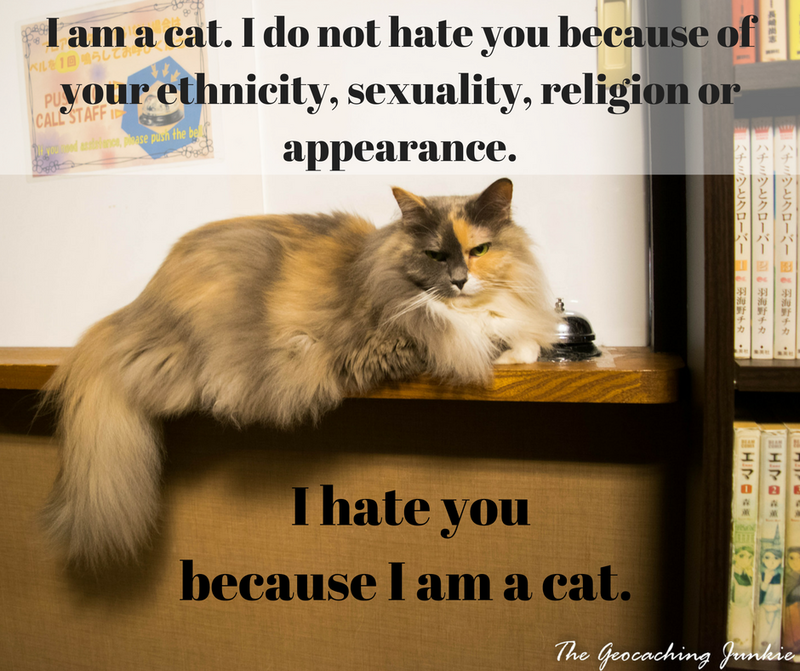 They are cats after all – fickle and aloof. 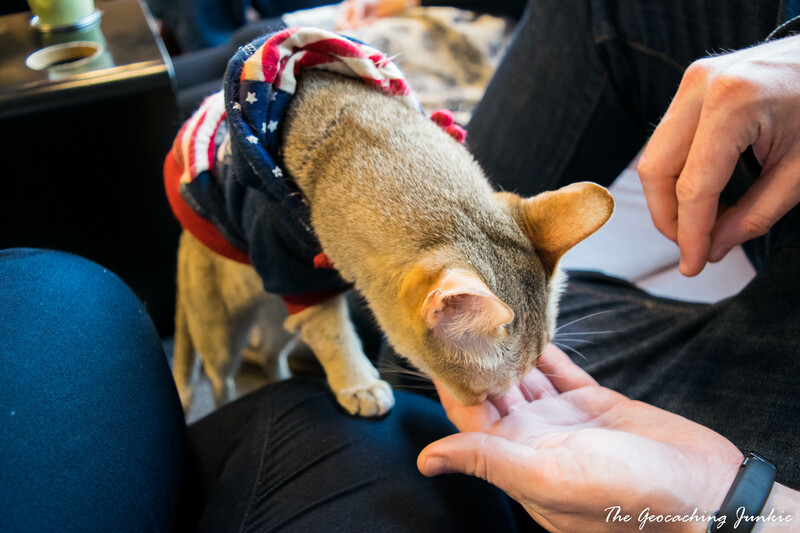 Although we were expecting a bit more interaction with the feline furries, a visit to the café seemed to be the perfect place to spend an hour after a long flight. Some cats were a little more pushy than others when trying to get the treats and pawed at us to demand food, leaving straight after they ate it. Ah, cats. 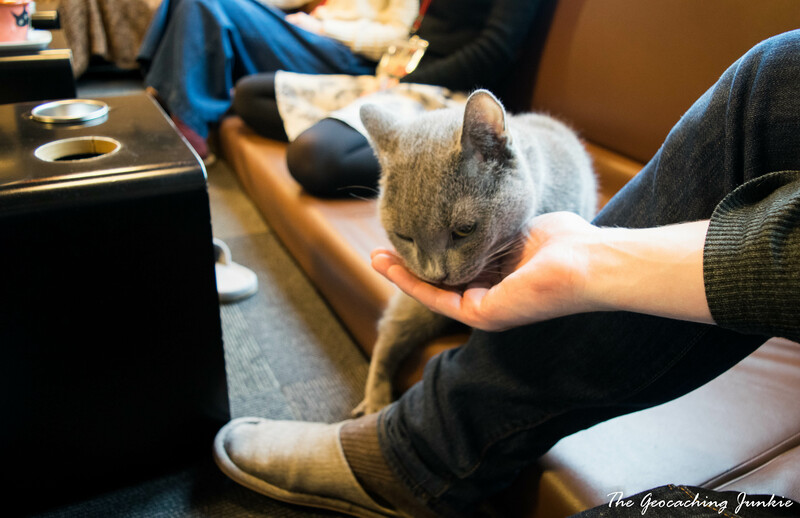 I was glad we experienced the cat café but for me, it was a one-time thing and didn’t interest me enough to go back again. I guess I am spoiled having a cat and a dog at home to pet! 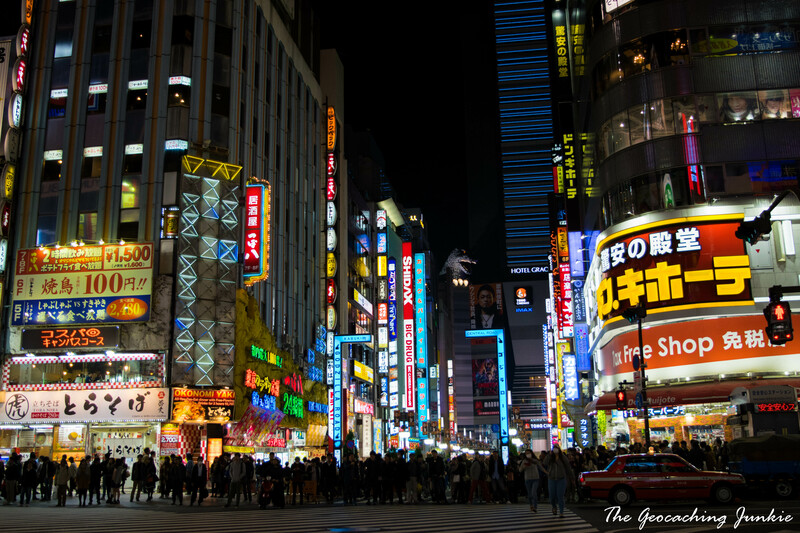 Although considered one of Tokyo’s ‘neighbourhoods’, in reality Shinjuku is so big, it contains various sub-neighbourhoods, including Asia’s largest red light district, Kabukicho. 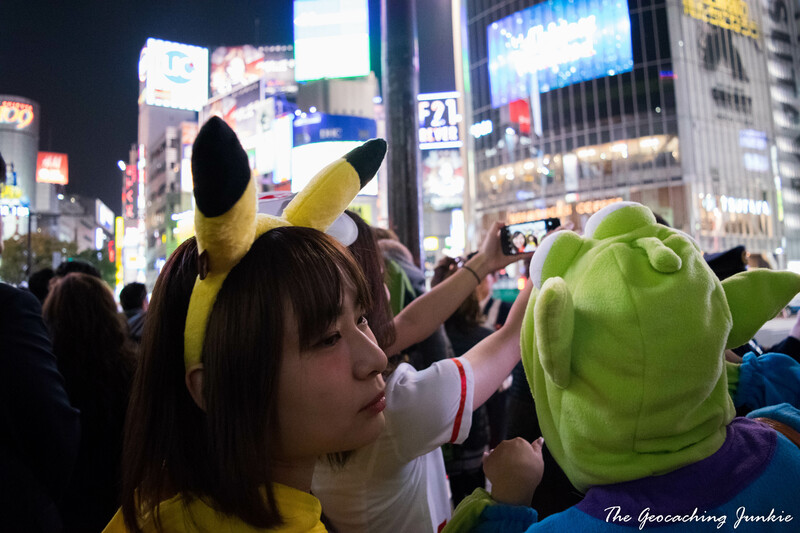 The area has a number of host and hostess clubs, love hotels and bars but there aren’t prostitutes standing on street corners (unlike our experience when we stayed in Shinbashi!). 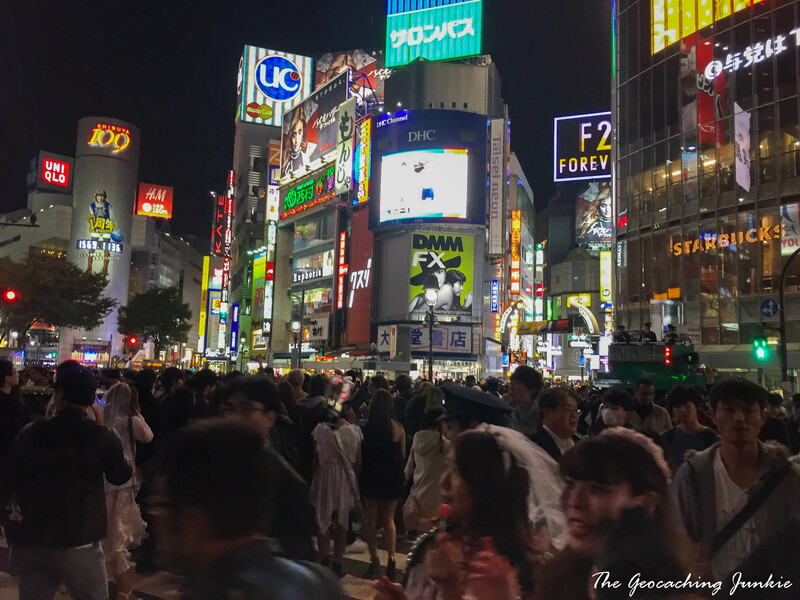 Since we were staying in Shinjuku for a few days, we were able to experience the area both during the day and at night, when it really comes to life. 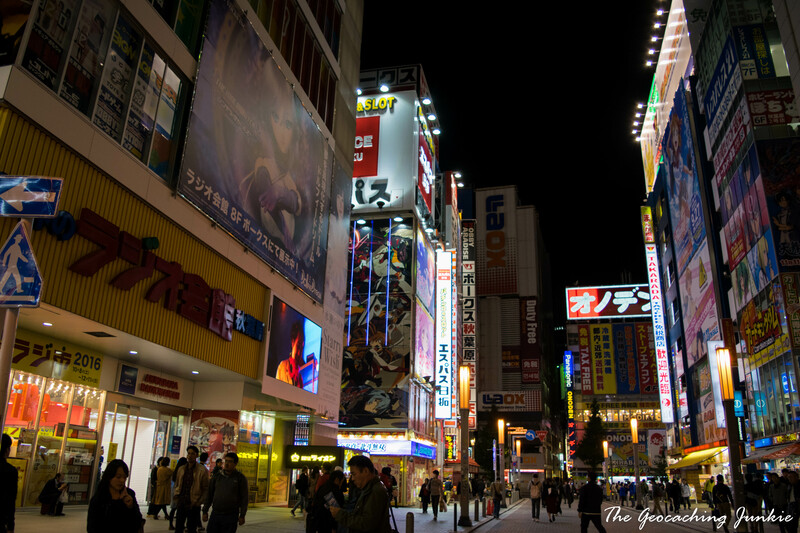 The countless neon signs and billboards, along with the unending streams of people was the embodiment of everything I imagined Tokyo would be. 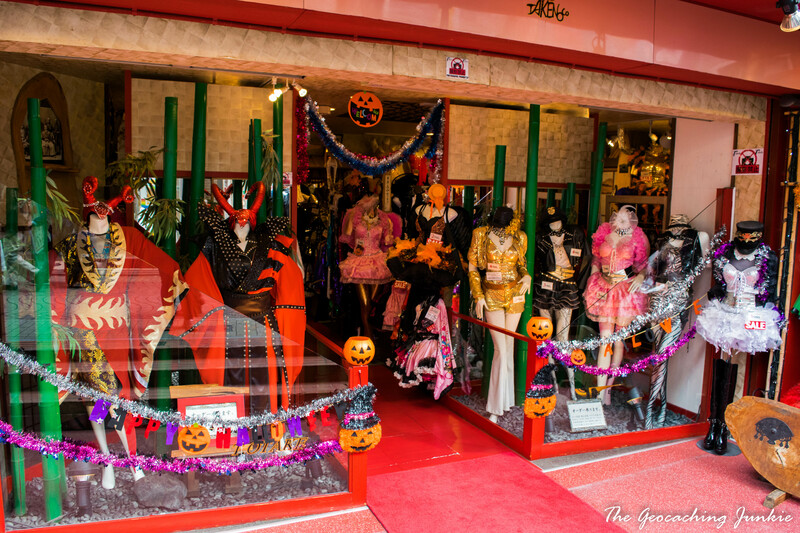 We really enjoyed going in and out of the shops, particularly those that sold costumes – so popular in Japan and not just for Halloween. The ¥100 stores were another firm favourite – I could spend hours there and had to restrain myself on our last day in Japan with what I bought! Think a pound shop/dollar store with a Japanese theme – I got some beautiful rice bowls for ¥100 each. 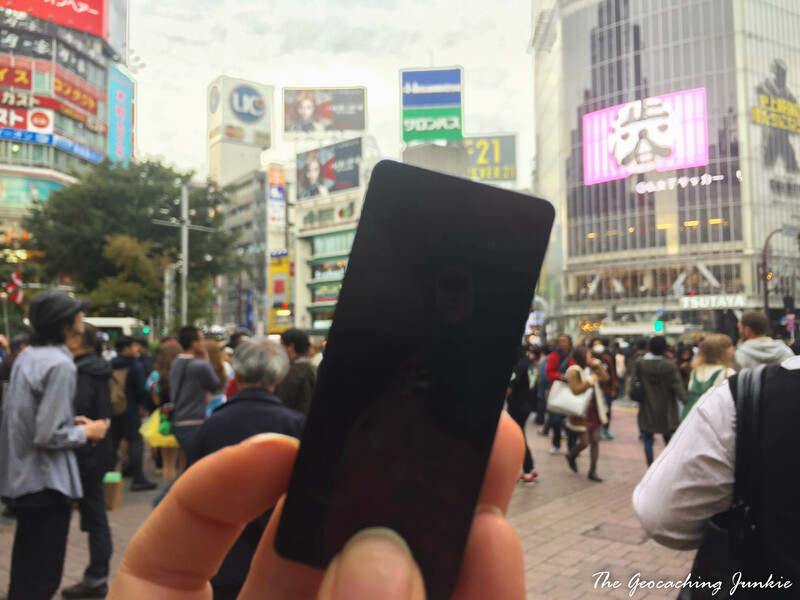 Shinjuku was also the place I found my first geocache in Japan – a very fitting challenge cache that required travel to at least three countries! Takeshita Street, facing Harajuku train station, is the centre of the universe for teenage fashioniostas in Tokyo. 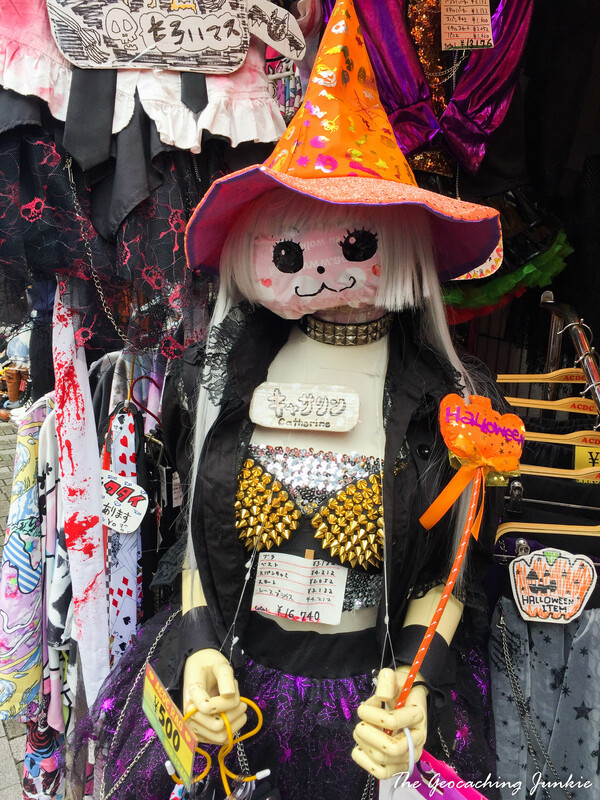 So-called ‘Harajuku girls’ can be seen shopping in the eclectic mix of stores, often sporting outrageous outfits. 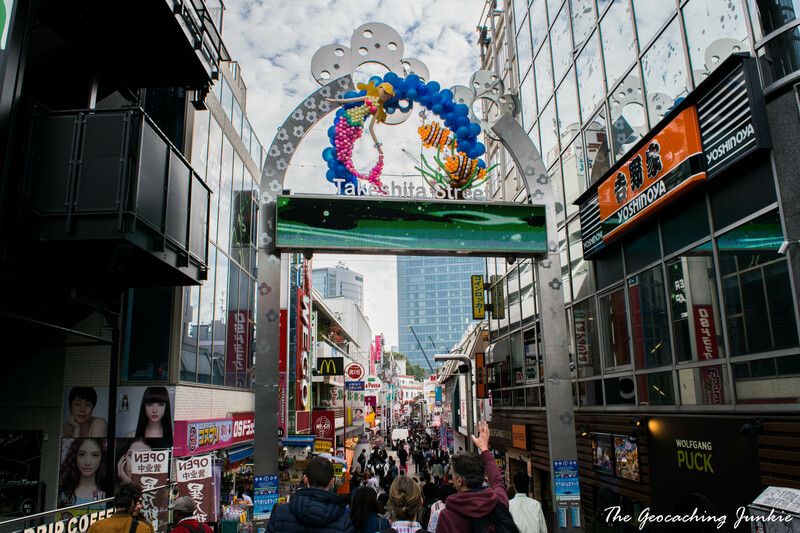 There are some more ‘mainstream’ shops in the vicinity but the boutiques that line Takeshita Street embody what Harajuku is all about, so it’s worth taking time to visit a few, even if you have no intention of buying anything. 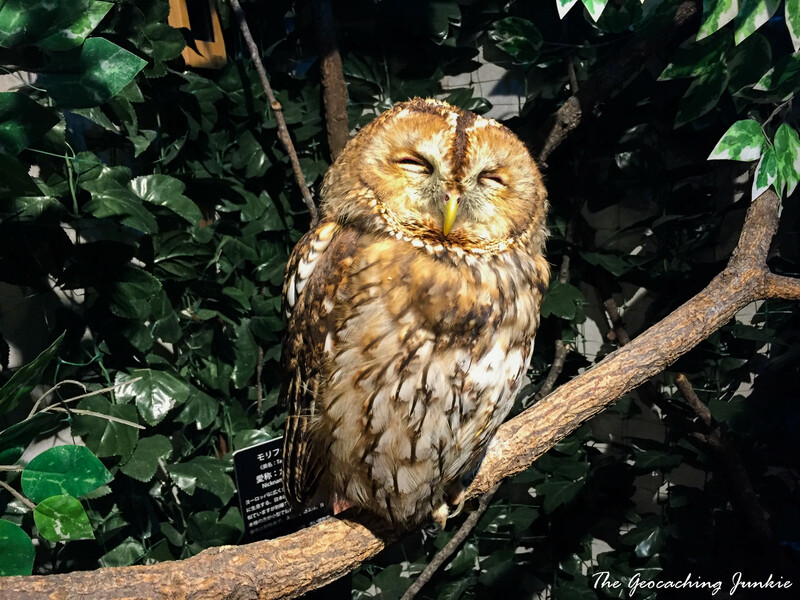 Tucked away in the basement of a store on Takeshita Street is the Owl Forest, where an amazing collection of owls are ready and willing to feature in your selfies! 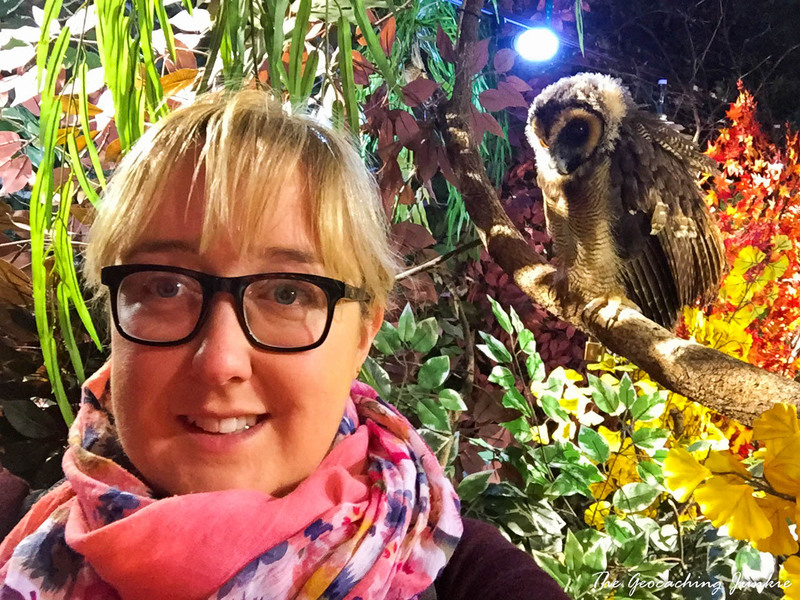 I have a bit of an owl obsession so any opportunity to get up close to the beautiful creatures is always grasped with both hands. 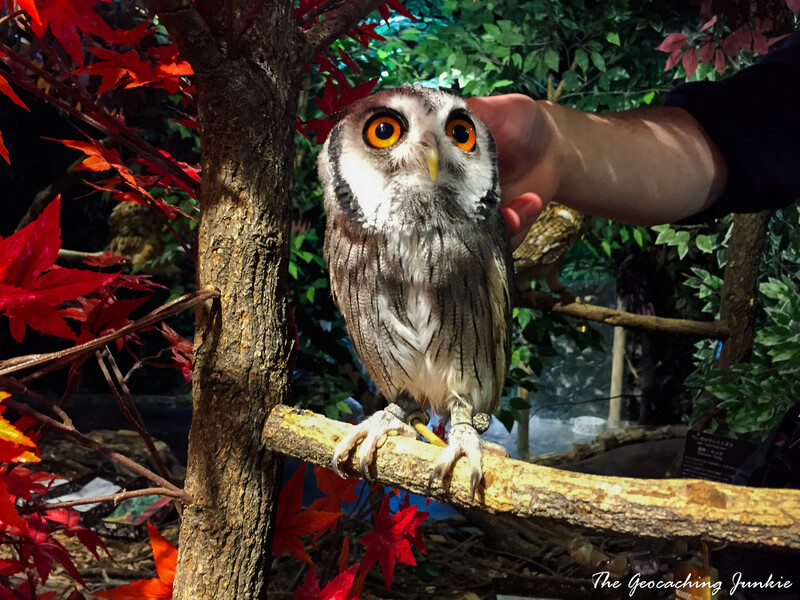 The experience was something akin to visiting a petting zoo and while it was amazing to be able to interact with the owls, I had a slight tinge of guilt that they were kept indoors and unable to fly, just for our enjoyment. Unfortunately, the girls working there weren’t adept enough at English to be able to tell me if the birds got to fly much, or at all. Leave the huge Shiubya train station at the Hachikō exit and you’ll land at the edge of the immense scramble crossing. 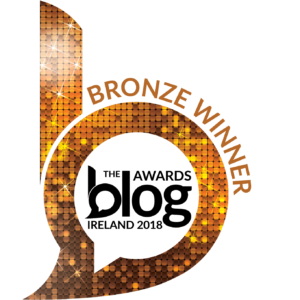 Having stood in the middle of Times Square in New York several times, I can safely say this felt much more immense. Up to 2,500 people cross the road at any one time here! 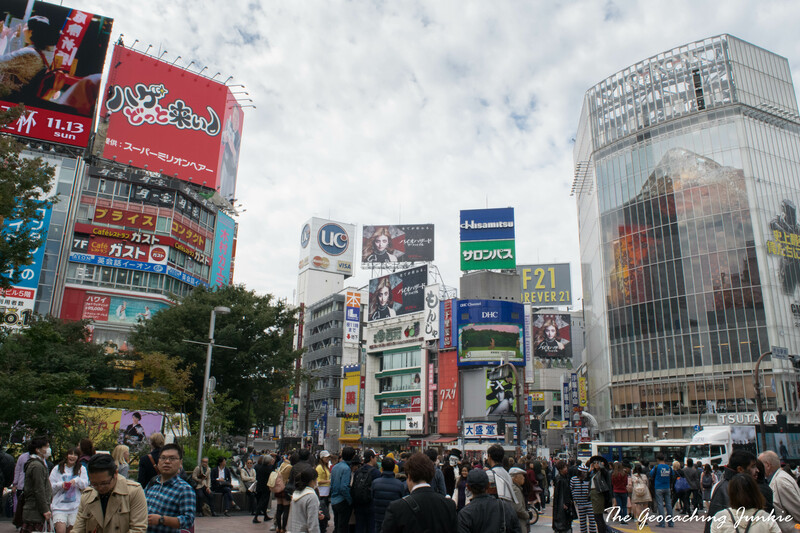 As well as the scramble crossing, Shibuya is well-known for its statue of Hachikō, the famous Akita dog who waited every day for his owner, Professor Ueno, to return from work at Shibuya train station. If you haven’t watched the 2009 movie Hachi: A Dog’s Tale, starring Richard Gere, then I won’t spoil the ending for you. Incidentally, if you are a dog lover, you are likely to cry for days after watching that movie. You have been warned. 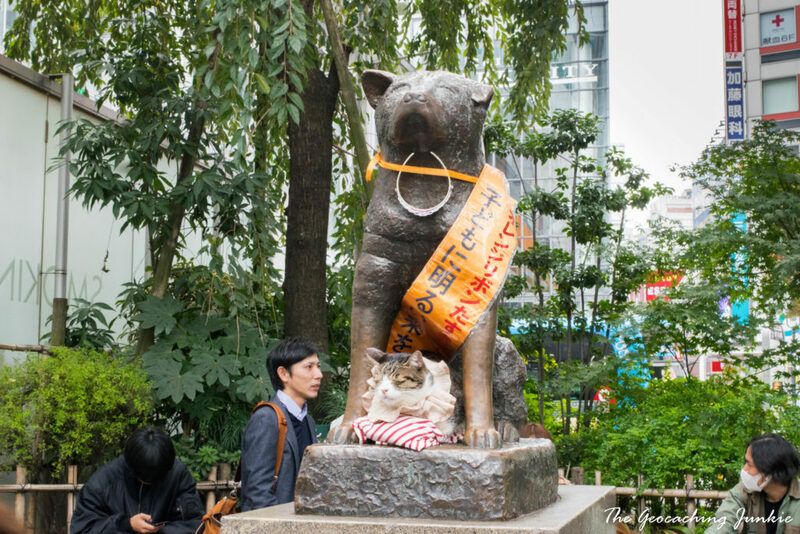 Since the middle of 2015, the statue has been joined by a well-dressed cat, who appears daily before the area gets too busy and sits between the dog’s legs. It’s unclear who owns the cat and if it gets there of its own volition. They sure make a cute couple though. After one failed attempt, we revisited the Loneliness without you cache, near the statue of Hachikō, and I finally got my hands on it after a dropped pen incident. Ahem. This has to be the most muggletastic place I’ve found a cache! We spent a while at Shibuya browsing the many shops and having dinner. When we emerged from the restaurant, we realised we were in the middle of the biggest Halloween party I’ve ever seen. If we thought it was busy during the day, this was a whole other level. Walking the crossing felt less like putting one foot in front of the other and more like being carried in a sea of Pokémon and zombie brides. 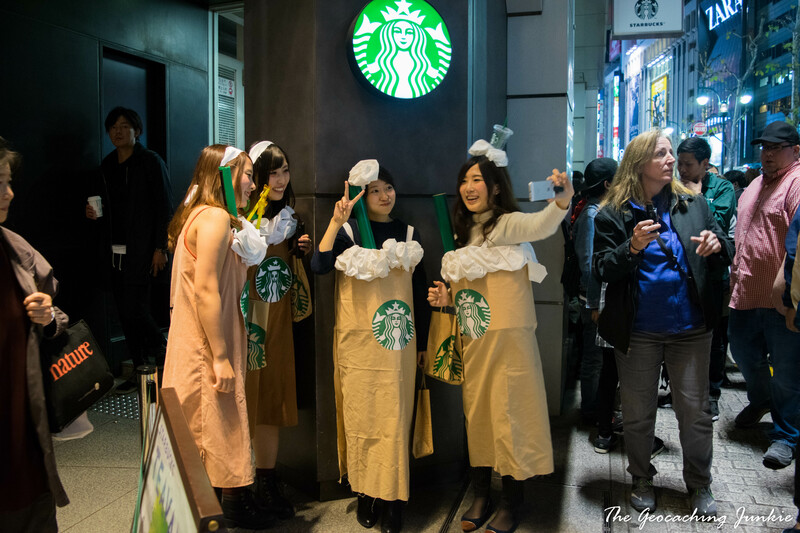 My favourite costume was the various girls dressed up as frappuccinos, and of course, they all had to pose for an obligatory selfie at one of the world’s busiest Starbucks! 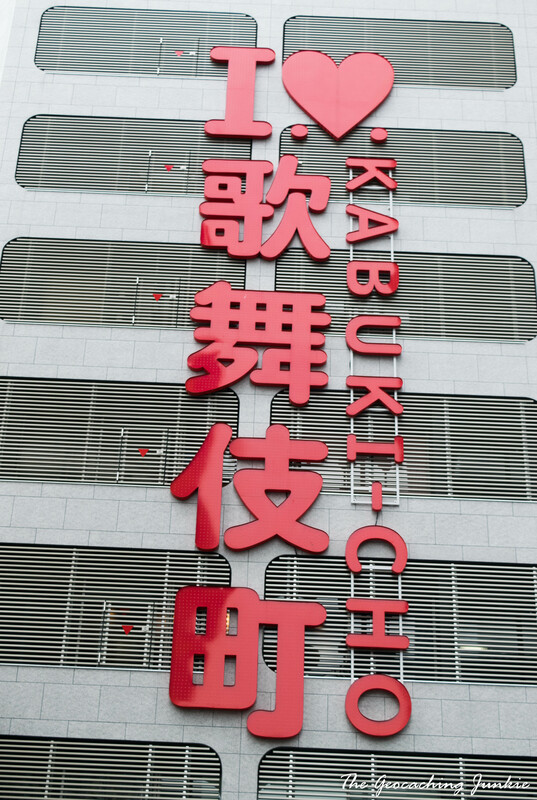 Another ultra modern neighbourhood in Tokyo, Akihabara has been nicknamed ‘Electric Town’ for its bright lights and abundance of electronic stores. There is also a plethora of anime, manga and video game stores. 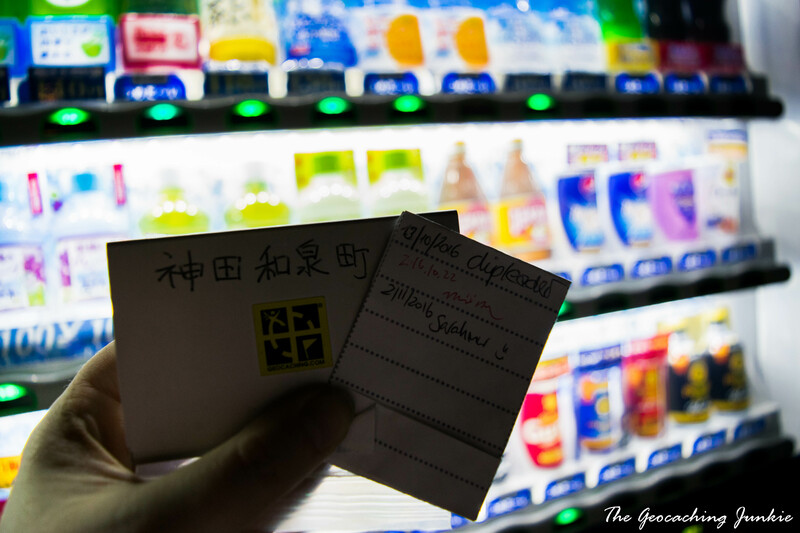 The main purpose of our visit was the Akiba TB Hotel – a massive ammo can located on a quiet residential street, perfect for dropping lots of the trackables I had brought with me. 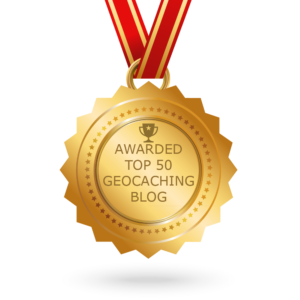 We also managed to nab a few other micro caches on our way. 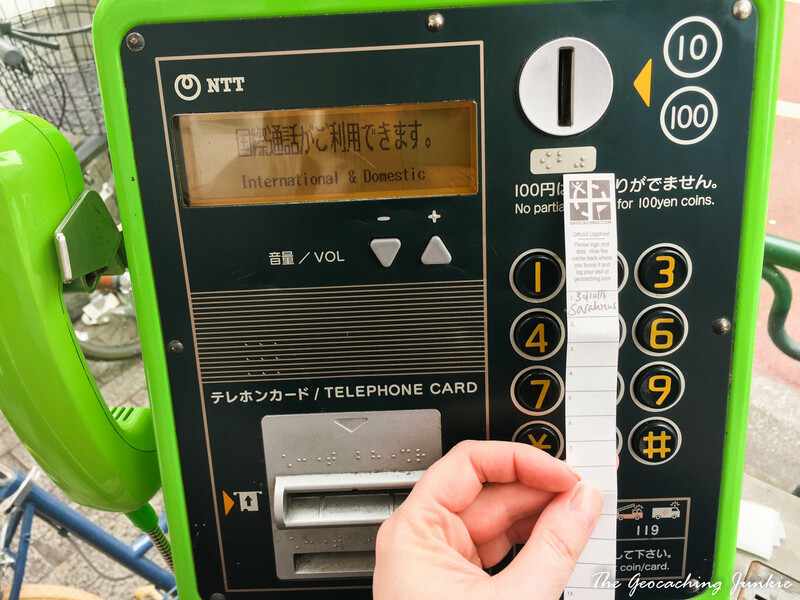 Several of the caches I found in Tokyo were magnetised to the back of on-street vending machines – it seemed to be a popular type of hide. 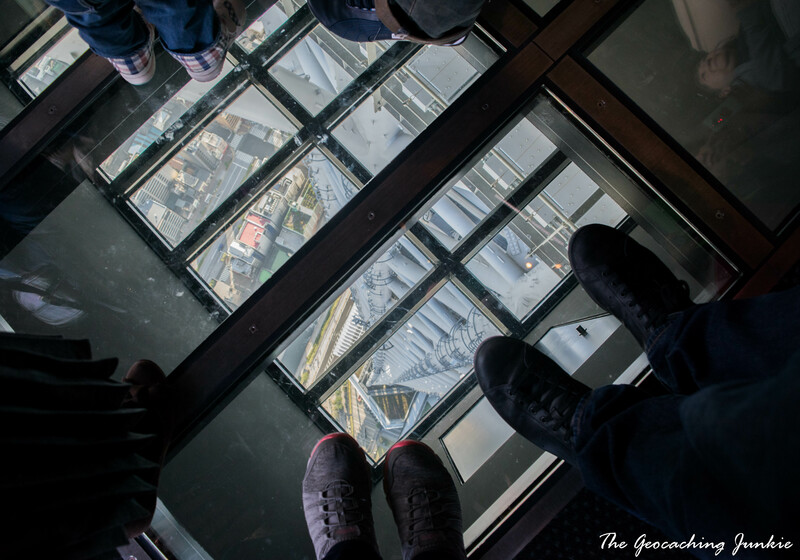 We didn’t have time to visit both Tokyo Skytree and Tokyo Tower, so we went for the former, since its observation deck is markedly higher (450m as opposed to Tokyo Tower’s 250m). 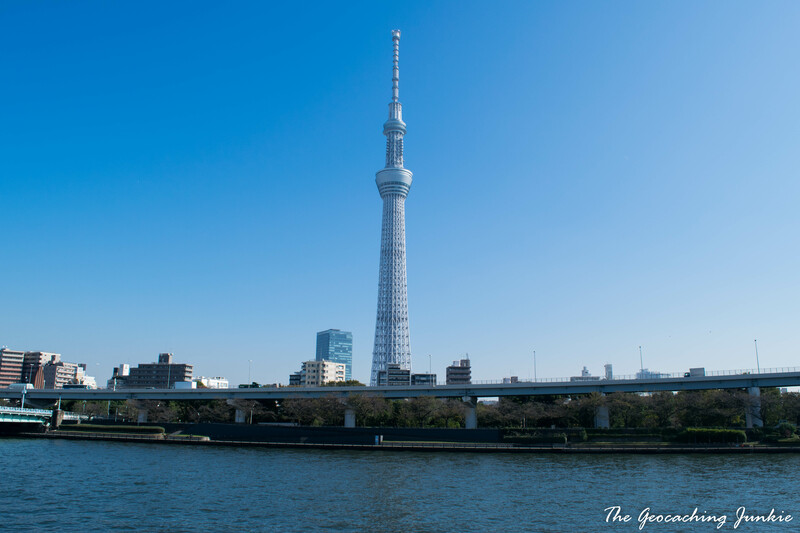 The Skytree is the tallest tower in the world, and the second tallest structure, after the Burj Khalifa in Dubai. It has a shopping centre and an aquarium in the lower floors (I really wanted to visit the aquarium but we didn’t have time, boo!). 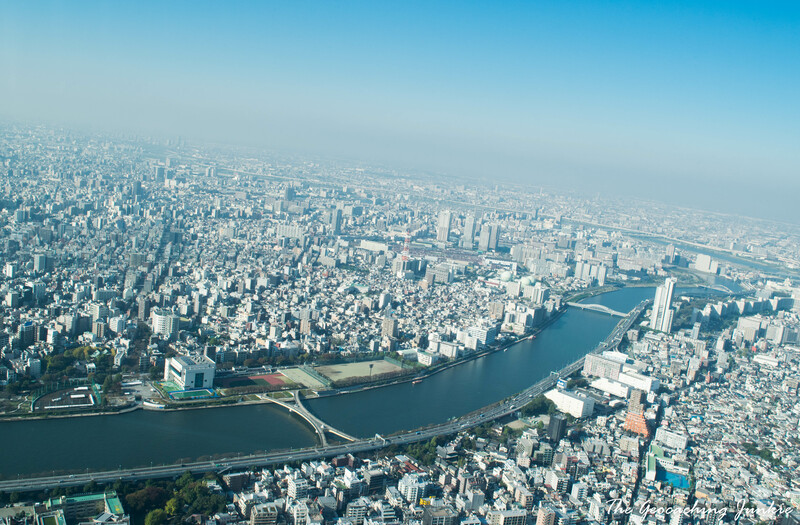 There was hazy sunshine so we didn’t get to see Mount Fuji in the distance but the views of the sprawling metropolis were nevertheless very impressive. 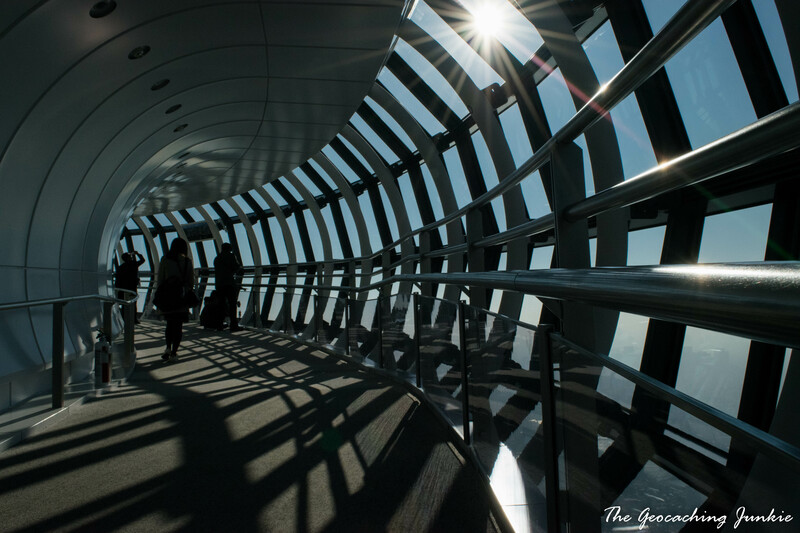 Though it’s a little pricey to visit – ¥4,000 for a fasttrack ticket for both the 350m and 450m observation decks – it was a great way to end our trip to Tokyo, taking in the panoramic views of this city of contrasts. This is brilliant! Visiting Japan this year and will definitely be checking out these caches to add something of my own. 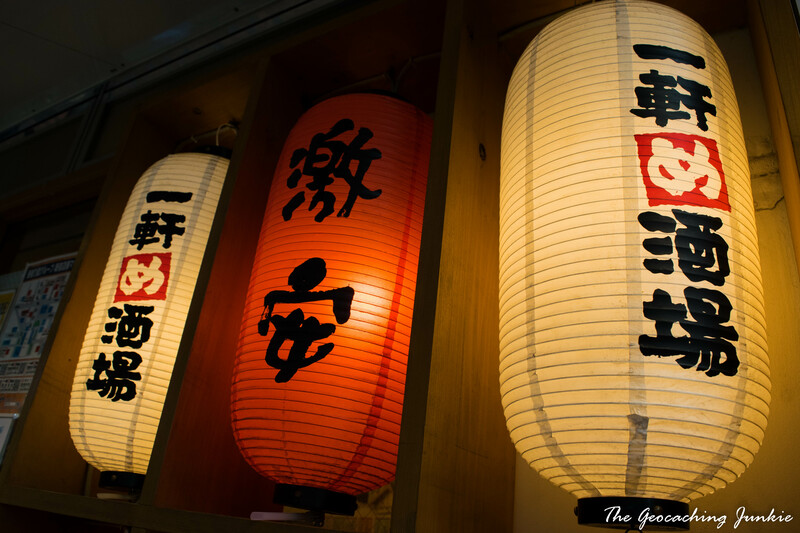 Make sure to read my post about Nara – it’s a must-see! !